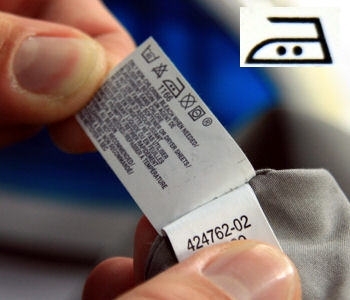 Most garments have a label setting out the maker’s recommendations for care. For a krama khmer scarf (brand Krama Krama) you will see our care instructions on the label. These come as a set of standard symbols. You will probably find a similar label on your cotton scarf showing you : the maximum washing temperature, the washing method (by hand, in a machine, or dry cleaning), the ironing temperature and whether or not it can be tumble dried. All laundry should be carefully sorted before washing and light coloured items should not be washed with dark coloured items. You also need to check for anything that may catch on your scarf while it is being washed, such as fastenings and hooks. If the scarf is embroidered, it’s a good idea to wash it in a mesh bag designed to protect delicate items. There are few extra precautions to take when washing your cotton scarf. The detergent plays an important part in the life span of textiles and their colours. Although often more expensive, a gentle product without bleaching agents is a worthwhile investment to keep your scarf looking good for as long as possible. The label will not mention spin speed, but cotton is a fabric that creases easily and a fast spin will damage it. Therefore it’s a good idea to choose the slowest spin speed or, even better, to wring it out gently by hand without twisting the fabric too much. The krama does not require any special treatment from the spin-drying point of view. Cotton has a tendency to shrink, particularly when subjected to heat. So the best way to dry a scarf is to lay it flat, away from any heat source (and below 30°C), as for woolen garments. This will help prevent your scarf, in particular the fringe or edges, from becoming misshapen and stop it from developing creases that are hard to iron out. What if there are no washing instructions ? Sometimes you may remove the care label from your scarf because it doesn’t look very pretty and is particularly visible on this kind of accessory. Therefore, extra care needs to be taken if you haven’t kept the label in a safe place. Pure, coloured cotton can be washed at temperatures up to 60°C, but cotton scarves may contain mixed fibres, in particular nylon (as do some of our scarves from the Krama Krama brand). For safety’s sake, do not wash your scarf at a temperature above 30°C. If you’re in any doubt, wash your scarf by hand or have it dry-cleaned. Cotton can be ironed on a medium setting and it’s best to iron it on the reverse, if applicable, to help preserve its colour for longer. What about stubborn stains ? In the case of soiling that is hard to remove, you can rub the affected areas gently with a detergent just before washing in a machine. This is particularly effective against marks made by contact of the fabric with the neck. Other stains can require more careful treatment: oils and fats, blood, rust, etc. The use of specially formulated detergents reduces the risk of damaging the colours of the scarf. If you’re in any doubt, ask the advice of a cleaning professional to avoid errors. Lastly, it’s important to remember that damp cotton is a breeding ground for the development of mold. Therefore, try not to leave your scarf in the washing machine for any length of time after the end of the washing cycle and make sure it is completely dry before putting it away. 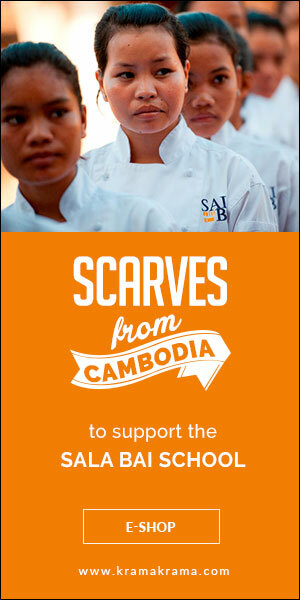 ← How to choose a scarf ?